Vistara has place orders worth USD 3.1 billion with Airbus for 13 aircraft from the A320neo family and with Boeing for six 787-9 Dreamliner. The total value of both these deals put together is USD 3.1 billion, based on published list prices. Airbus will deliver 13 A320neo and A321neo aircraft between 2019 and 2023 to Vistara as per the letter of intent signed between both the companies. These aircrafts will be equipped with LEAP 1-A engines from CFM International. 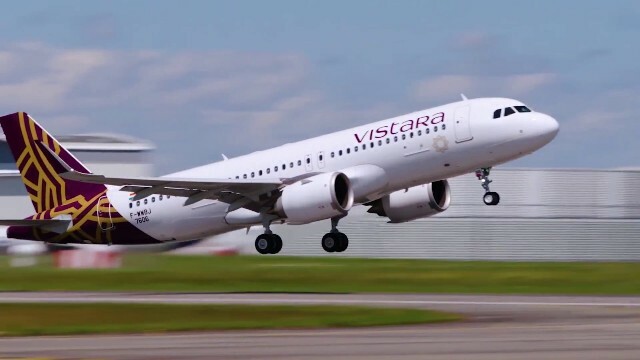 As per the letter of intent, Vistara plans to buy seven more aircraft from the A320neo family. As per the letter of intent signed with Boeing, Vistara will be buying six 787-9 Dreamliner. The letter further states that Vistara has also signed Purchase Rights for four more aircraft from the 787 Dreamliner family. The company has selected the General Electric GEnx-1B engines to power the aircraft. These aircrafts are scheduled to be delivered between 2020 and 2021. Vistara plans to use 787-9 Dreamliner on medium-haul and long-haul international routes.